THE NEXT DÁIL will almost certainly now have eight fewer members than the current one, after ministers agreed to table new legislation cutting the total membership of the house to 158. In their final Cabinet meeting before the summer break this morning, ministers approved the drafting of legislation to implement the recommendations of the Constituency Commission, who recommended the reduced number in their last report. The Commission had recommended a Dáil membership of 158, after the terms of reference proposed by environment minister Phil Hogan asked it to put forward suggestions leaving its membership between 153 and 160. The overall number was on the higher side of this window, after the results of the 2011 Census showed a higher-than-expected growth in Ireland’s population, thereby enforcing a higher number of TDs. The report recommended a radical redrawing of boundaries, particularly within Dublin where some constituencies were given a wholesale revamp, while the total number of constituencies will be reduced from 43 to 40. This evening Hogan said the reduction in Dáil numbers was an example of “real, tangible reform” which would make politics more efficient, following other examples like the recent passage of legislation to enforce gender quotas and extended Dáil hours. The cuts to the Dáil’s membership will kick in when the next general election is held, which is due by February 2016 at the latest. Email “Confirmed: Dáil to lose 8 TDs with confirmation of boundary changes”. 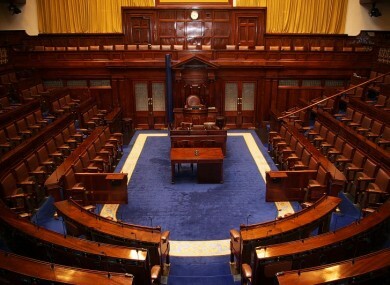 Feedback on “Confirmed: Dáil to lose 8 TDs with confirmation of boundary changes”.